HTC has made an amazing transformation. The brand is typically known as a smartphone manufacturer, but things are changing: HTC presented Vive three years ago, and now, Cher Wang shares her vision of the future for HTC; one where smartphones are not at the center. Instead, the focus is on 5G, VR, AI and AR technologies. Cher Wang, head honcho at HTC had some interesting things to say at Mobile World Congress this year, and we learned a lot about HTC's strategy during her presentation at the tech-fair. Wang talked about some interesting visions for the brand, and smartphones weren't a huge part of this: a clear hint for HTC's future direction. In her view, four keywords will play an important role in the future: 5G, AI, VR and AR. Topics that many see as buzzwords. But, the extensive work of large corporations shows that there is probably more to it. Why else would Amazon, Google, Facebook and many others put so much energy into the development of AI systems? Looking at the level of artificial intelligence, it's already evident that specialized AIs deliver better performance than humans. Even 5G will be here faster than we first thought. Basically, this is more than just a short-lived hype. What will our smartphones look like in the future? This year, 5G is a more clear concept at MWC, and Cher Wang sees it as a revolution with the potential for further connecting devices. The high bandwidth and low latency of 5G data transmissions will reduce the need for computing power on devices. So this means then, that 5G could transmit AR and VR content by "leveraging computing power in the cloud". This enables the possibility of developing new devices such as smart glasses, narrower VR glasses, or completely different systems that allow us to access information. In other words, the processing of data is done in the cloud, and the device itself only displays the information. AI will therefore serve to connect everything together. Wang predicts that AI systems will soon know us better than we know ourselves, and 5G is an absolute necessity here, too. Cloud computing has to help with the processing of mobile AI tasks, while smartphones currently lack the computing power necessary to pull it off. Until then, data has to be shared between phones and cloud servers which raises privacy concerns; a hot topic for the time being. Could the HTC U12 have 5G technology? HTC successfully made a billion dollar deal with Google last year, so now approximately 2,000 employees are working for them. Recently, some restructuring took place in the management team, and now pretty much all divisions are managed by people from the Vive team. From Cher Wang's comments, it can be assumed that with Vive, HTC has a clear foothold in virtual reality and a concept video of smart glasses indicates that activities are also planned in the augmented reality market, too. Keep a look out for our second article, where we talk to Graham Wheeler about HTC's vision for the future and try out some VR application demonstrations. 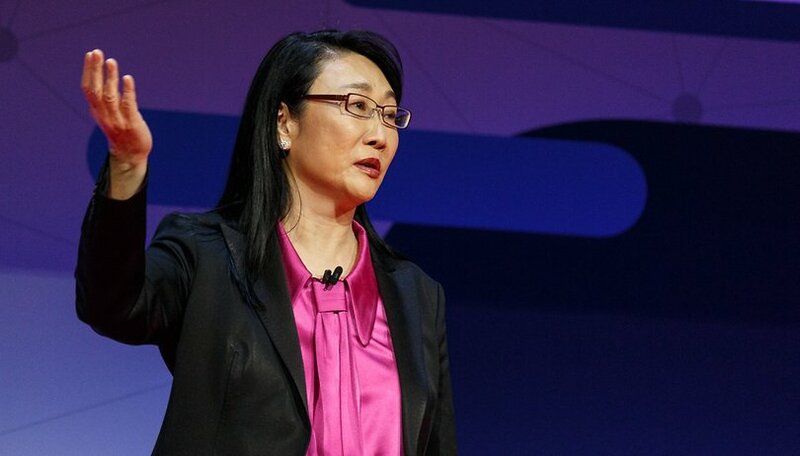 What did you think of Cher Wang's presentation at MWC? Are you excited by what the future holds for Vive and HTC?